The Literary Companion to Edinburgh traces Edinburgh's history from the Castle and the Royal Mile to the New Town and the surrounding villages, in a path which can be walked by the visiting reader. pCharting Edinburgh's literary past and present, it is a fascinating portrait of this cultural capital as seen and recorded by writers through the centuries. "…this indispensable guide to Scotland’s cultural capital…"
"Lownie’s research is impressive…This is an informative and practical guide which will be of considerable interest to any tourist seeking out his favourite author…"
"Andrew Lownie’s definitive guide charts in meticulous detail the landmarks associated with some of our best-loved writers…A fascinating guide full of delightful anecdotes." "…a thorough job on the city’s literary locations and characters…lovely quotes…"
"The strength of Andrew Lownie’s guide lies in his capacity to select and use creatively quotations from letters, fiction and poetry by a wide range of writers…This provides a fascinating narrative of change and communicates a real sense of history: social, political and literary." 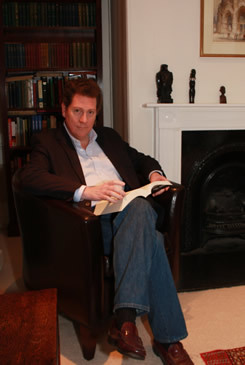 "Andrew Lownie has done an exceptionally fine job …in a work which sets off history against geography, physical detail against imaginative transformation…For the literary tourist it will be indispensable, but it has revelations for residents, too." "…a book such as this can often be your best choice of strolling companion…"
"This guide is ideal for walks." "The only in-depth companion to the capital’s remarkable literary history…"
"…set to be yet another indispensable volume on the bookshelves, appealing to lovers of both literature and Edinburgh." "All the old favourites are here, including Scott, Stevenson, Boswell, Burns, Hogg, Fergusson and Garioch, as well as many more fleeting visitors, such as Mark Twain, Dylan Thomas and Daniel Defoe. Relating writers to parts of the city, Lownie marshals his facts well and presents them intelligently." "…entertaining and smoothly compiled, full of evocative descriptions and unexpected associations between writers and their milieu…." "…as near to a pocket-sized, comprehensive introduction to the "literary" city as might reasonably be sought…Lownie writes as though this heartland is still alive with the shades of infamy and tragedy, and his route in each case is as practical and sequential as might conceivably be devised. .It is so well written that its pleasure is doubled…A perfect gift for the book buff at large." "…a fascinating literary history of the city with a delightful anecdote-packed tour of its key locations." "This is an ideal book for the reader who enjoys an armchair tour of Scotland’s capital city! 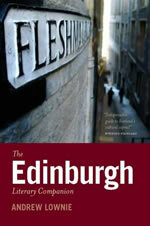 As well as being an expert on the city, Andrew Lownie shows his considerable talent for writing and guides the reader seamlessly on a journey through the considerable literary history of Edinburgh past and present….It’s written in a friendly and informative way and whether you know the city or not, I’d defy you to read this and learn nothing."